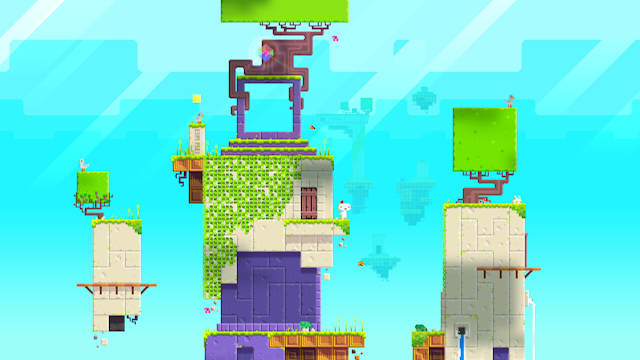 Fez was a free game on PlayStation Plus and while I haven't actually finished the game yet, I think I'm a good 80% through the game. When I stopped playing, I felt that I was really overwhelmed by the world and I was having difficulty with remembering where things were and how to get back to where I needed to go. If there was a suggested update that I would add, it would be the ability to fast travel to certain sections of the game or to put down notes on each section. It does have something like fast travel, but it only applies to certain sections and they are very infrequent. 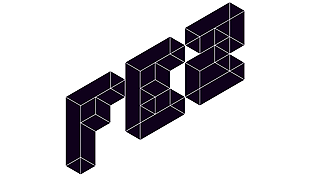 Fez is a single-player puzzle platformer game, you move around in a 2D space, however, the world itself it actually in 3D. With a press of a button, you can change the world to see the plane that is either to the left or to the right of your current plane. Imagine if you have a six-sided dice and you ignore the top and bottom. You play on one side of the dice and with a button press, you would twist the dice so that you are now on either the left or the right side of the previous side of the dice. 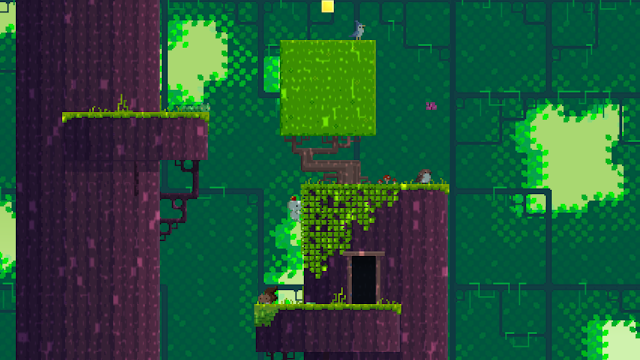 At the beginning of the game, you are shown a 2D world and with an explosion of a giant hexahedron, the world becomes a 3D world, however, you only operate in 2D at any given time. With this explosion, pieces of the hexahedron were sent all over the world and your goal is to retrieve as many pieces as you can and correct the world. 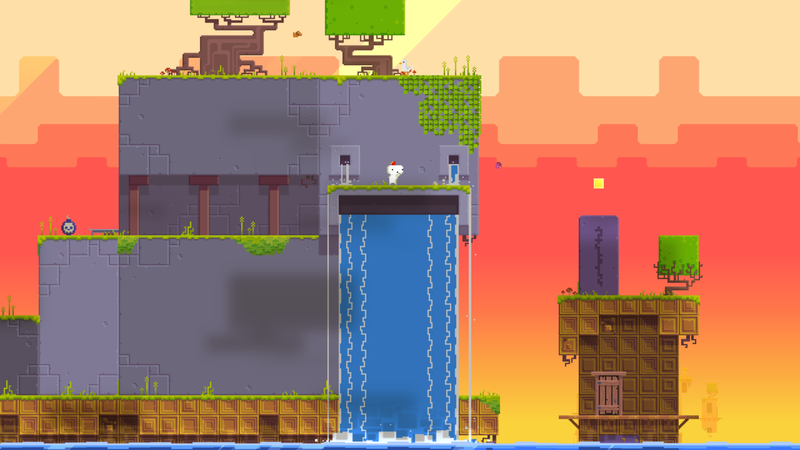 Fez has no enemies, so you don't need to worry about running into any and fighting them, you just wander around and try to determine where you may be missing a door or cube fragment. If you die, you quickly respawn to the same area which allows for you just enjoy the game. Cube fragments are not the only thing that you collect, there are also warp gates, obelisks, just to name a few. There is plenty of content for a game like this. The levels start off easy, but grow more and more complex as you progress through the game. It has a nice art style where it is simple and it has a pixelated look to it. If you are looking for a puzzle platformer where you run around and try to solve puzzles, I have no issues recommending this game for everyone. I played this on the PlayStation Vita and I had no issues with the load times or any glaring issues with it. Come back next Wednesday for my Final Thoughts on Clash Royale for Android.